India and the middle-east and gulf regions have had social relations and mercantile contacts since ancient times. People-to-people contacts and barter trade in clothes and spices from India or dates and pearls from the Gulf have existed for centuries. Sharjah and Dubai have been the main hubs for trade with the western coast of India, in particular, the Malabar Coast. However, India-UAE relations flourished after the accession of H.H. Sheikh Zayed Bin Sultan Al Nahyan as the Ruler of Abu Dhabi in 1966 and with the creation of the Federation in 1971. Therefore, traditionally, the relations between India and UAE have been on very cordial terms, resting on firm foundations of political, economic and cultural links. Trade links between the two countries have existed since a long time. Growing Indo-UAE economic and commercial relations have contributed to the strength and stability of a rapidly diversifying and deepening bilateral relationship. Over the years, bilateral trade between India and the UAE has evolved into a significant partnership in the economic and commercial field with both countries being the largest trading partners of each other in terms of two-way non-oil merchandise trade. Bilateral trade between the two countries has increased by more than four times in the last four years. 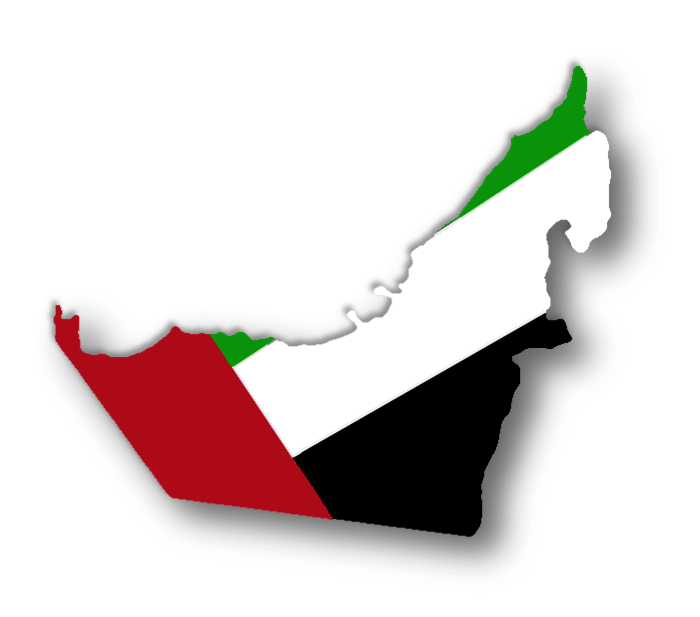 In FY 2009-10, Indo-UAE trade was valued at $43.4 billion compared to $11.98 million in FY 2004-05. Trade between the two countries amounted to $180 million per annum in the 1970s. During FY 2009-10, UAE's share in India's total trade was 9.3%. In the period between April-June, 2010, India's exports to the UAE amounted to Rs.33, 70,865 lakhs; imports in the same period amounted to Rs. 29, 02,694 lakhs. The main items of export from India include mineral fuels, natural or cultured pearls, cereals, gems and jewellery, manmade yarn, fabrics, metals, cotton yarn, marine products, machinery and equipment, plastic and linoleum products, tea and meat and preparations. Major items of import from UAE include mineral fuels, mineral oils, natural or cultured pearls, precious or semi-precious stones, metal ores and metal scrap, sulphur and unroasted iron pyrites, electrical machinery and equipment parts thereof, iron and steel, and many others. A large portion of India's exports to the UAE is trans-shipped from Dubai to other countries in the region such as Pakistan, Afghanistan, Iran, Iraq, Saudi Arabia, Yemen and, of late, even to East African countries. Therefore, exports to UAE have, in effect, opened up a huge regional market for Indian products. Indian companies have emerged as important investors in the free trade zones of UAE, such as Jebel Ali Free Trade Zone, Hamaniya Free Zones, Sharjah Airport, Abu Dhabi Industrial City, Ajman, RAK Fujarah Free Zones etc., following the emergence of Dubai as a major re-export center for India's products. Also, due to Dubai's positioning as a service center post the set-up of centers such as Internet City, Media City, Academic City, etc., many Indian service providers and leading IT companies have opened offices in these centers. Companies from the two countries are actively involved in pursuing investments and projects in both countries. Indian companies involved in joint ventures in the UAE include giants such as Tata, Reliance, Wipro, NTPC, Larsen and Toubro, and Punj Lloyd. The top companies in India from the Emirati side include Emaar, Nakheel, DP World, among others. Indian businessmen have been increasingly taking advantage of Dubai's tax-free regime and using it as an international hub for finance and trade with other regions. UAE investment in India amounts to an FDI of about $1.5 billion in various sectors such as energy, services, hotels and tourism, construction, etc. In the evolving global scenario, trade, commerce, and foreign direct investment (FDI) would be the cornerstone of India-UAE ties in the 21st century. Bilateral trade partnership between the two countries can be elevated with the support of the large presence of Indian companies in the UAE and vice versa. During the Indian president's visit to the UAE, emphasis was laid on reactivating the institutional arrangements between the two countries, like the India-UAE Joint Business Council and the India-UAE Joint Commission for Economic, Technical and Scientific Cooperation (JCM). A mutually beneficial relationship between India and UAE in the energy sector was also pondered over, as also in the agriculture and food processing sectors. It was highlighted that even though India is one of the leading producers of fruits, only 2% of the country's trade was accounted for by that area. India and UAE can have significantly beneficial relations due to increased cooperation in their respective oil-industry sectors and establish long-term relationships in the field of petrochemical industries. The Tourism sector also holds promise for the two countries and has a good potential for future growth; a significant contribution to this growth would be facilitated through medical tourism. Emiratis have been increasingly availing Indian health services, including Indian ayurvedic establishments and spas. The construction and maintenance of hotels, and the hospitality industry as a whole, offers tremendous scope of growth to the two countries.